A lightweight open-source utility layer for binding Vuex to Redux. 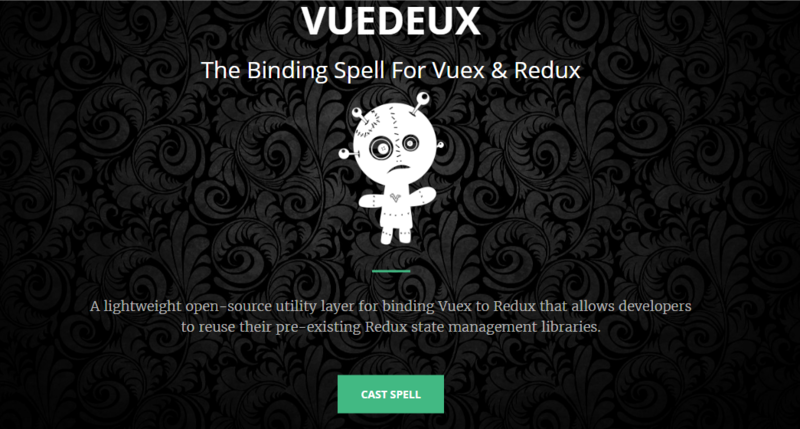 The team announced today the launch of Vuedeux, a lightweight open-source utility layer for binding Vuex to Redux that allows developers to reuse their pre-existing Redux stores within Vue/Vuex applications. This easy-to-install plugin opens the world of Vue development up to the robust and thriving ecosystem of Redux middlewares, tools, and bindings while allowing for a highly customizable state management dev experience. The motivation of the Vuedeux team was the desire to create a simple way to re-use and share state-management code with Vue/Vuex. The decision to create the Vuedeux compatibility layer between Vuex and Redux was inspired by the idea of uniting the quickly growing Vue community and Redux's broad user-base and ecosystem. The package is also available through NPM and there is a Github repository. Submitted and created by @RealBrianRudlof and his team.